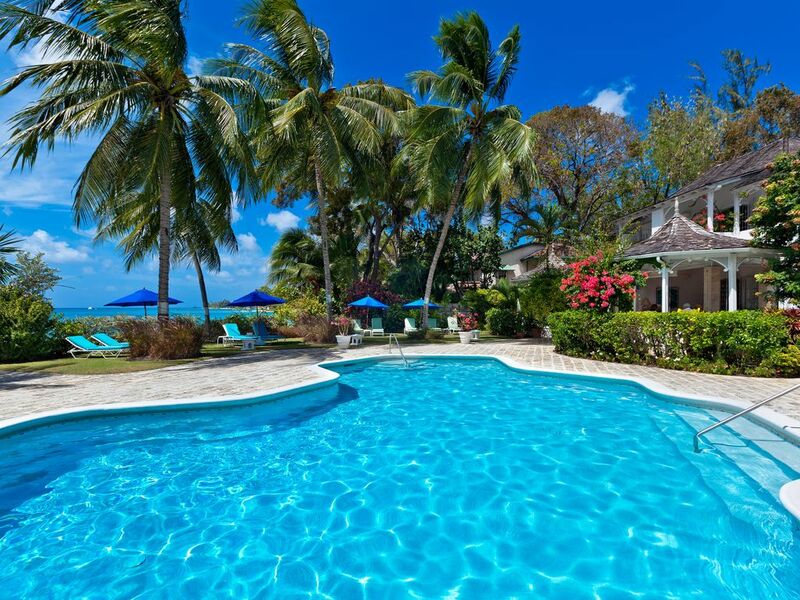 Emerald Beach consists of just six luxury villa/town homes located on over an acre of lushly landscaped grounds at the edge of the spectacular white sands of beautiful Gibbs Beach. Constructed as three separate pavilions, each pavilion houses two separate two-story units. Emerald Beach # 1-Solandra is tastefully furnished. The interiors feature terra cotta tiled floors and tasteful furnishings. The main level features one bedroom and the living and dining areas that opens to a covered and comfortably furnished terrace. The outdoor terrace is a wonderful spot for alfresco dining or relaxing and is complete with a bar fridge and ceiling fans. Upstairs, there are two additional bedrooms. Both of the upstairs bedrooms have en-suite baths and open to a private terrace offering spectacular views of the gardens and the ocean. In addition to the excellent swimming and beach facilities, there is a large freshwater swimming pool for the exclusive use of the residents. Facing directly west, the sunsets from Emerald Beach are always a special treat. Emerald Beach works well for large groups/families as well as many units can be rented to accommodate large groups. The Emerald Beach property represents an excellent value and is an outstanding choice for couples as well as families.